The New America Foundation unveiled its annual Academic Bowl Championship Series results today, and the great program in Happy Valley topped the list, followed by Boise State, TCU, and Stanford. 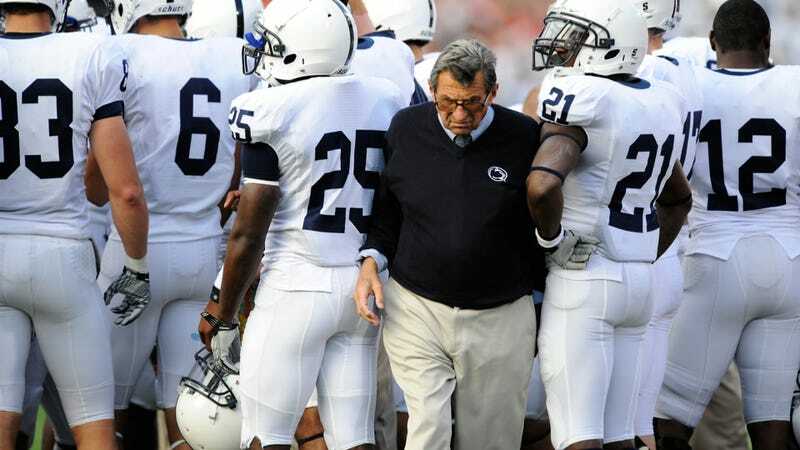 That's what we have to love about coach Joe Paterno. He has his priorities straight all the time. Ever the vocal leader, he cares less about winning football games than about the kids that pass through Penn State. That's the culture there, caring about the futures of young men. I know that the latest installment of the Deadspin Top 25 or So ranked Penn State number 120, but there's no text describing why. Huh.